/Notepads and Notebooks /Can I add my photos to the cover? Yes! All of our templates are fully customizable. 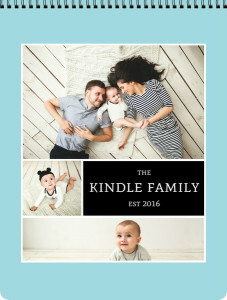 With all designs, you will be able to upload and add unlimited images, embellishments/artwork and text to make the cover of your Notebook or Notepad one of a kind! Once you have the selected template open in the Design Center, you will be able to access all the tools needed to personalize your cover! Here is a link directly to the walkthrough on uploading an image. Check out the rest of our help site to see more walkthroughs on what you can do with our online design tool.